Supporting Community Inclusion and Empowering Individuals with Disabilities. 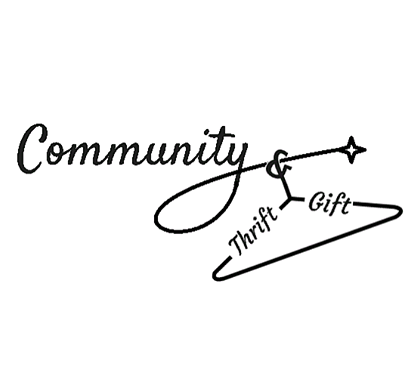 The Community Thrift and Gift store is dedicated to providing eclectic and unique merchandise to the Enid Community while fostering community inclusion for people with disabilities. 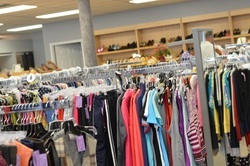 The pieces you will find in their store are donated items from the community, as well as gift items produced by clients in their vocational rehabilitation programs. Proceeds from retail sales will fund their retail training program for people with disabilities. Community Thrift and Gift is a division of Community Enterprises, Inc., a non-profit organization that supports individuals with disabilities to actively live, learn, and work in the community. Join them in putting their mission into action. 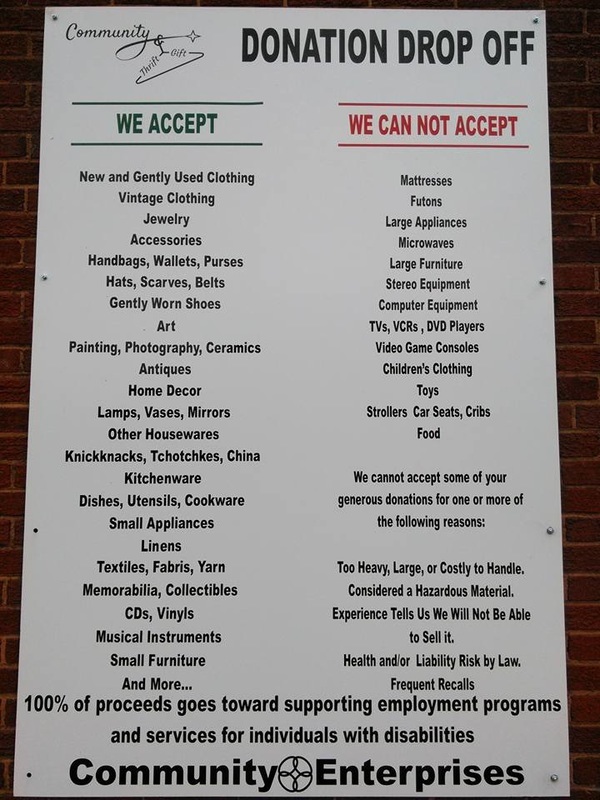 Their store relies heavily on donated items from the community, so first and foremost, they thank you for your generosity. Donations are accepted during regular store hours at their convenient donation processing center, and also during donation drives at select employer and community locations. Remember, donations to CTG are tax deductible. 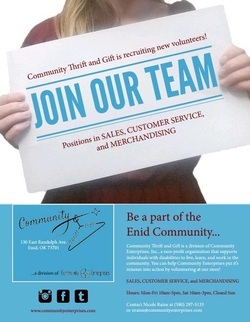 Community Thrift and Gift is always looking for dedicated volunteers to fill a myriad of positions at the store and donation processing center. Experience the satisfaction of giving back to the community and empowering the lives of people who have disabilities. 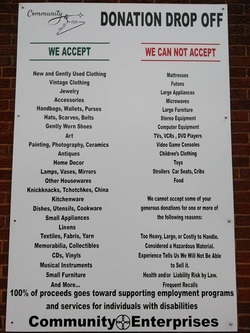 Eclectic and unique merchandise in the vibrant downtown Enid area. 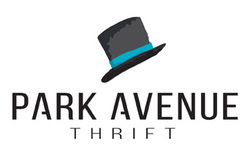 They sell high quality, gently used adult clothing, shoes, accessories, books, housewares, small home furnishings, repurposed goods and gift items at affordable prices.